Are you looking for a commercial response to an unsuccessful subscriber, due to not receiving of a payment? Check out this polite response message to customers that did not pay (yet) now. There can be several occasions applicable why a customer, who already shared his details with your company via your website, decides not to proceed with the tentatively requested services or products. 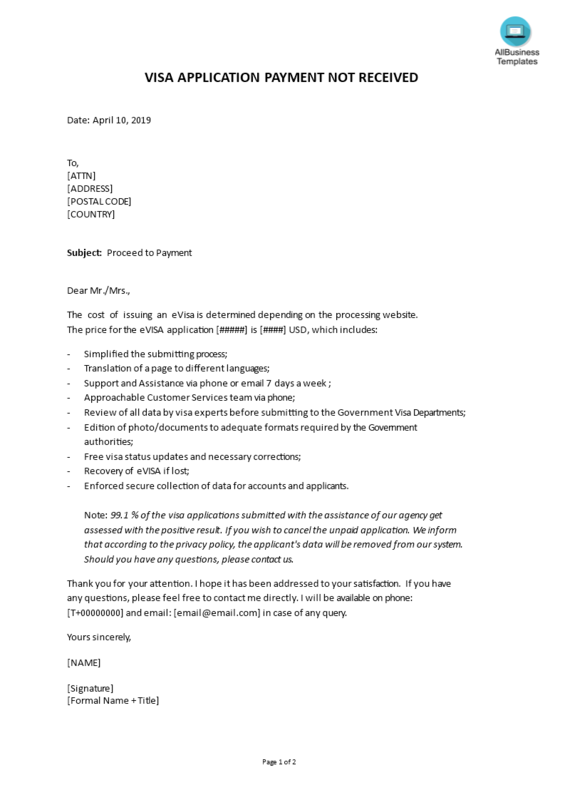 This is an example letter that you can send as an agency to your subscribers, after not receiving the payment for the services. Also, please consider that due to several upcoming Data protection laws are nowadays demanding improved communication and actions from companies. For example, the GDPR directive requires proper data management from companies that process data of European citizens. This policy directive was adopted because Europeans demand the same data protection rights across the EU and regardless of where their data is processed. It aims to make Europe fit for the digital age. In this sample letter, there is an important reference to data protection laws and how to prevent non-compliance with the local application data protection laws and regulations. This letter is applicable to the situation a customer decides to not cooperate with you, but already provided sensitive data to you, such as passport details or bank details. In this situation, it's important to make sure you will adequately remove the data received in the future. This letter template is provided in Microsoft Office formats, and easy to customize to your organization’s specific needs. Often completed example documents are also provided in order to help you with your implementation in order to save precious time. Download this rejection letter template now as a response to Unsuccessful subscribers.